From our facility in the Puget Sound area, we are able to bring the very best of our families’ old world Italian craftsmanship and elegance direct to the American market. We supply and install stone for hotels, banks, offices, private homes, and other buildings. We import directly from our manufacturing facility in Italy and from quarries all around the world to your job site, giving you the advantages of competitive pricing and faster delivery time for a higher quality product. Now, Antony Architectural stone can put its skills and craftsmanship to work faster with our new custom made machine, “CNC RAPID 725 ATC Move”. We made a big investment in this new 3D digital fabrication center and are the first stone company to bring this new brand technology to US. Click here to see our technology in action. 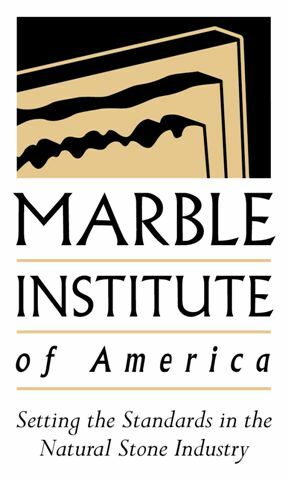 We have worked on some of the biggest and most important commercial and residential projects in America, giving us the experience to help developers, architects, engineers and construction companies with the intricate and delicate nature of Italian marble and other natural stone products. Our staff can meet with you at any time during the planning phase and then help guide you through the proper evaluation, selection and installation process. Also, we provide consulting services to residential projects, dealing with private customers in helping them through the process of remodeling their home or creating their dream home, as well as specific rooms in the house. We are experts at designing durable, beautiful, unique applications for natural stone. We integrate stone as an architectural element within the greater project, be it an intimate bathroom or a grand hotel lobby. Our designers can work with your architect or interior designer to create a one-of-a-kind look that will stand the test of time. We have extensive project experience from which to draw from to form accurate estimates for your particular job. We pride ourselves on producing accurate, detailed schedules and then manage the team to adhere to them. We have a direct connection to Italy for marble and stone. We import Marble and Granite directly from quarries all around the world. We travel the world in search of the most unique and beautiful marble, granite and onyx to give our customers more than a thousand different types of natural stone to choose from for their special residential and commercial projects. We begin by hand selecting blocks of granite, marble or onyx, often from our own associate quarry, to make sure colors and patterns are the same throughout. The blocks are then cut into slabs at our manufacturing facility in Italy and shipped to our fabrication plant north of Seattle where we cut, polish and age the natural stone slabs and prepare them for installation. We can do trade partner processing. Our installation team then brings the finished products to the jobs site to make your dream come true. Our marble and granite walls can be installed using dry joints, practically no seams. This work requires precise cutting but the result is a unique design based on the stone pattern created by Mother Nature. We can help guide you on how to properly maintain and care for your natural stone product.